Vandalism and Theft Insurance Claims - ALL RISK PUBLIC ADJUSTERS "
Acts of property theft and vandalism bring with them a sense of violation. The last thing policy holders want to do is prove that the vandalized or stolen items were theirs to begin with. Unfortunately, that’s often a necessary part of filing a vandalism or theft insurance claim. At ALL RISK Public Adjusters, we understand the dismay you are feeling and make it our goal to replace your personal property with the least amount of trouble to you. If you suspect an act of vandalism or theft, the first thing you should do is file a police report. 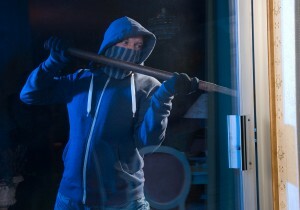 This is crucial, as your insurance company will use the police report to verify that theft or vandalism occurred. Be sure to report every damaged or missing item, and update the report if you discover additional stolen or damaged property after the initial report is filed. Once the event is substantiated by official police reports, your insurance company will request proof of ownership of the stolen or vandalized property, and seek to determine their value. It is during these processes that a public adjuster can be beneficial to you. At ALL RISK Public Adjusters we can help you gather and present documentation as proof of ownership and, in the absence of such evidence, serve as your advocate in what is called an examination of the insured under oath (EUO). Our claims adjusters also scour your insurance policy to determine which items are insured and determine any limits or exclusions that the insurance company will invoke. Insurance companies often seek property appraisals from companies that have the ability to reduce the estimated replacement price due to their buying power in the market. This reduces their liability – and the claim you are paid. We aggressively advocate for you, ensuring you get the insurance claim to which you are entitled.